Rumor: Two Facebook Phones Coming Next Year? After hearing that Facebook's (non-existent, according to their spokespeople) phone will run on Android, Bloomberg is reporting today that INQ Mobile has been tasked with building hardware for two phones, and AT&T might just carry them exclusively from late-2011. It's rumormongering at best, at this point in time, with Bloomberg claiming they've heard from three separate sources that the phones will launch in Europe in the first half of 2011, and the US later that year. One of the sources told Bloomberg that the two phones would differentiate in terms of input, with the first having a QWERTY keyboard and touchscreen, and the second being a touchscreen candybar. Relying even more on this particular source's knowledge, they will be cost less than $100 each after subsidizing. 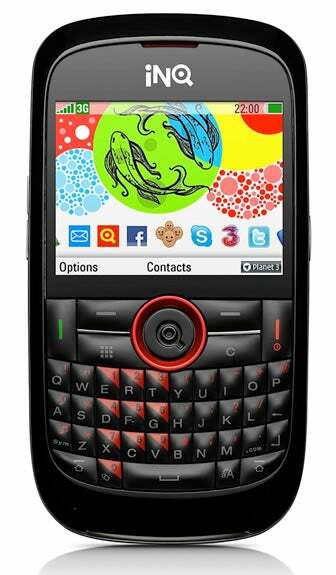 INQ Mobile isn't new to social-networking phones, having launched three already across Europe. They were also rumored to be creating a Spotify-specific phone last year, though that didn't pan out once Spotify created apps for Android and iPhone.